This newsletter is on a subject that I think is very underutilized in the world and that is solar energy - and I'm not talking about expensive solar panels either. I'm talking about practically FREE solar heat in the form of solar water heating and solar cooking. I can't tell you how many emails I get from people complaining about their high energy bills. Someone emailed me a couple of weeks ago and said they were thinking about switching from natural gas water heating to electric water heating (they had a radiant floor heating system). That was a "first" for me! Natural gas has always been less expensive than electric (at least in Georgia anyway). I emailed them back and told them they could heat their hot water inexpensively using the sun as I describe in my book "Electricity - Make it, Don't Buy it". When I was a Boy Scout, a friend of mine and I got tired of taking cold showers at Camp Straughn in Savannah so we decided to take on a little "project"... my friend found a huge aluminum tank somewhere and all we did was mount the tank on a stand about 4 feet off the ground. 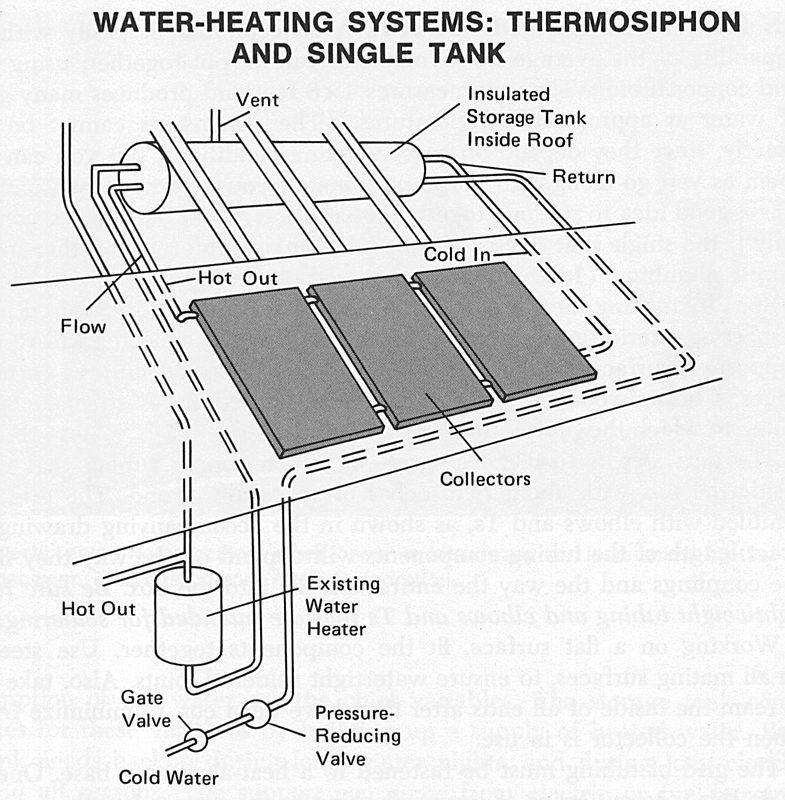 This is required for the thermosiphon effect to take place as described in the book. The next thing we did was build a simple frame out of 2x4's and plywood. If I remember correctly we only used one sheet of plywood. We then ran a black hose serpentine style back and forth horizontally on the frame. I know everyone reading this newsletter has turned their garden hose on after it has been sitting in the sun for a while and noticed how hot the water gets. Down here in the South it will scald you if you're not careful. One end of the hose was connected to the right/bottom of the water tank and entered the lower part of the frame - this was the cold water in connection. The hot water output side came out of the top of the frame and into the left side of the tank. There was also a "cold water in" line going into the tank and a "hot water out" line coming out of the top part of the tank (where the hot water rises) and went to the showers. I can assure you... a good chunk of your energy bill goes to heating water and cooking. Nobody uses solar ovens and they are so simple to make and use and they work like a charm! 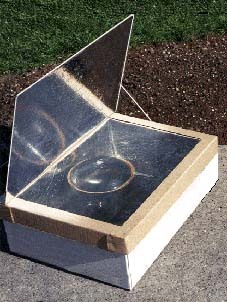 I encourage you to go to www.solarcooking.org and get all the details on how to make your own solar oven. It is absolutely free. Lots of great information there that will definitely cut a big chunk out of your energy bill - not to mention how useful a solar oven will be when the power goes out. And... don't forget about all the home heating principles as described in "Electricity - Make it, Don't Buy it". I guarantee you, solar home heating will save you some money by cutting your heating bill dramatically. And it can be as simple as installing a solar room on your house and channeling the heated air into and throughout your home. Not only will it heat your home, but you will enjoy the extra space too.